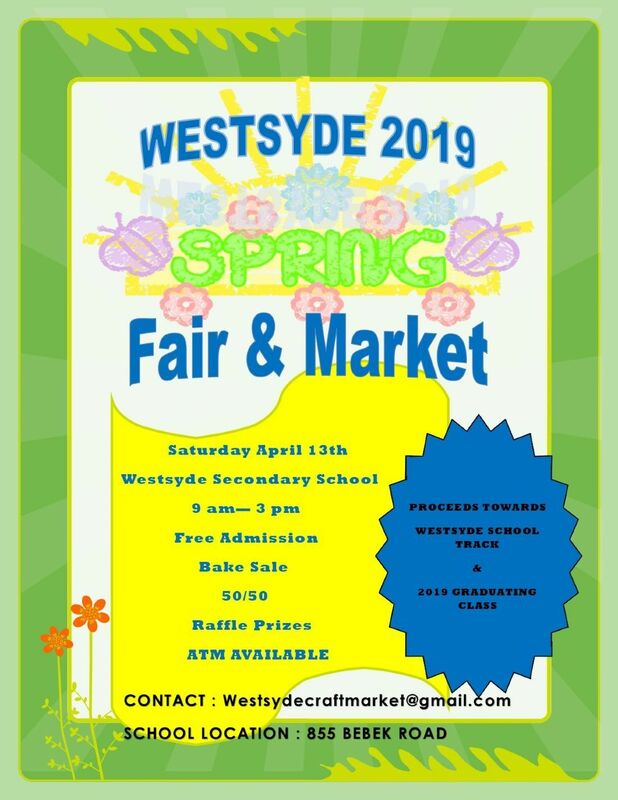 Please come and join us in celebrating Spring in Westsyde. Our FREE ADMISSION event is being held at the Westsyde Secondary School Gym. This amazing community event will host vendors from all parts of Kamloops, bringing to you their local farm goods, homemade chocolates, crafts and more. We too will have local home businesses advertising their goods and services they provide. 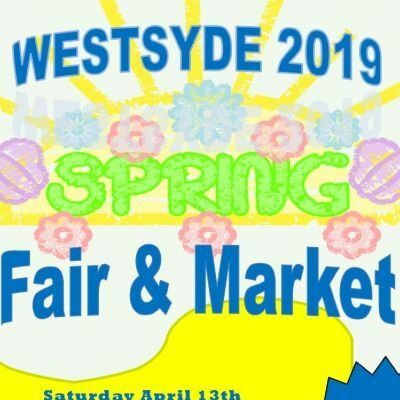 Proceeds from the 100 tables, raffles, 50/50 draws and amazing bake sale, are going directly towards Westsyde Grads and a new Track for the students and people of Westsyde ! !